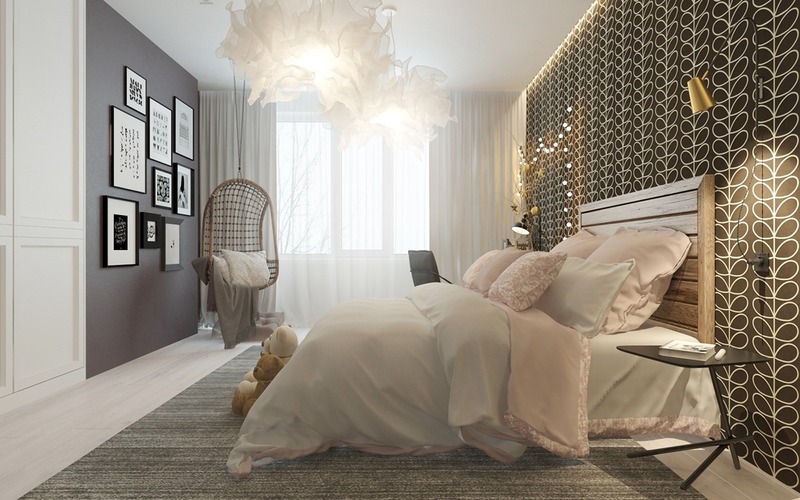 If there was only one place that we could choose to make cozy in our homes, it would just have to be our bedroom. 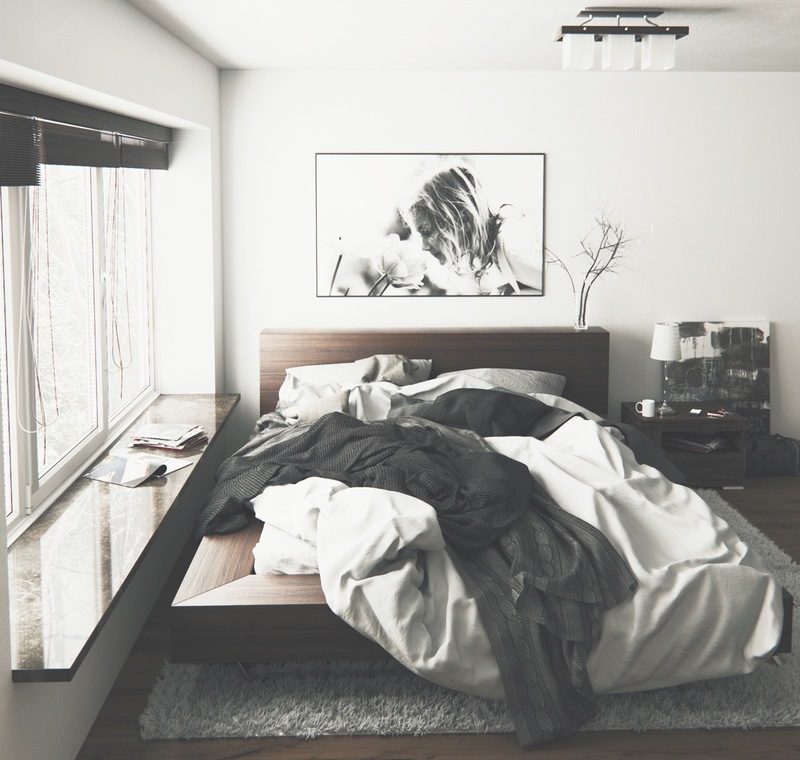 A few may just see the bedroom as a place to crash after work/study/partying–you fill in the blank–but to most people the bedroom provides a private sanctuary in which to unwind, chill out and recharge after the day is through. 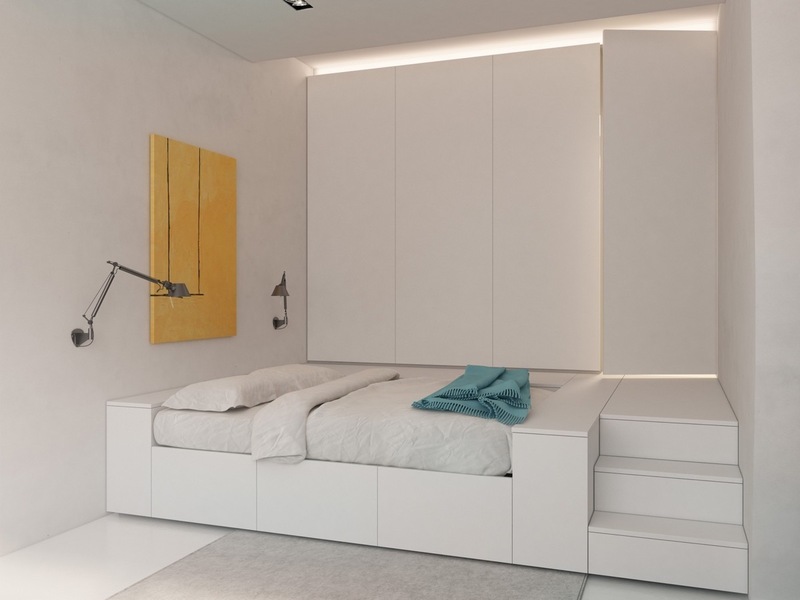 Whether you have a huge master bedroom that is crying out for the cozy factor, or you want to get the most out of a small bedroom, you are sure to find a good fit in this inspirational gallery of warm and welcoming bedroom designs. 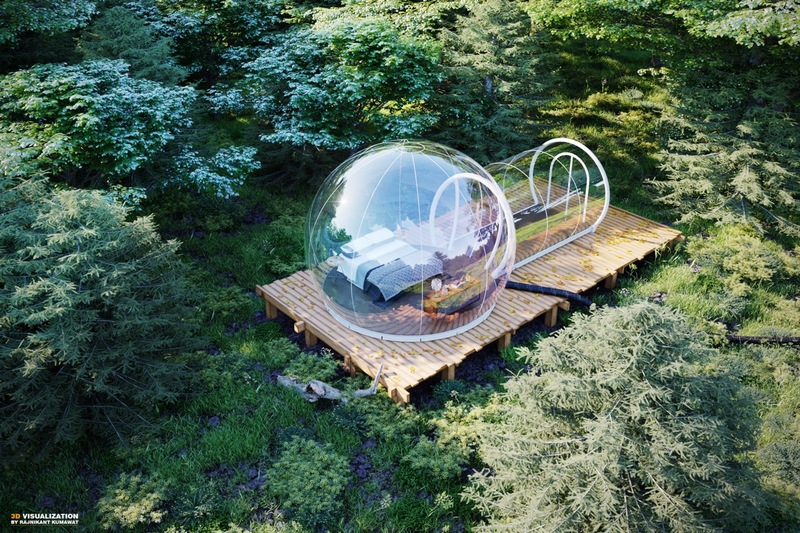 Build a nest in the treetops. 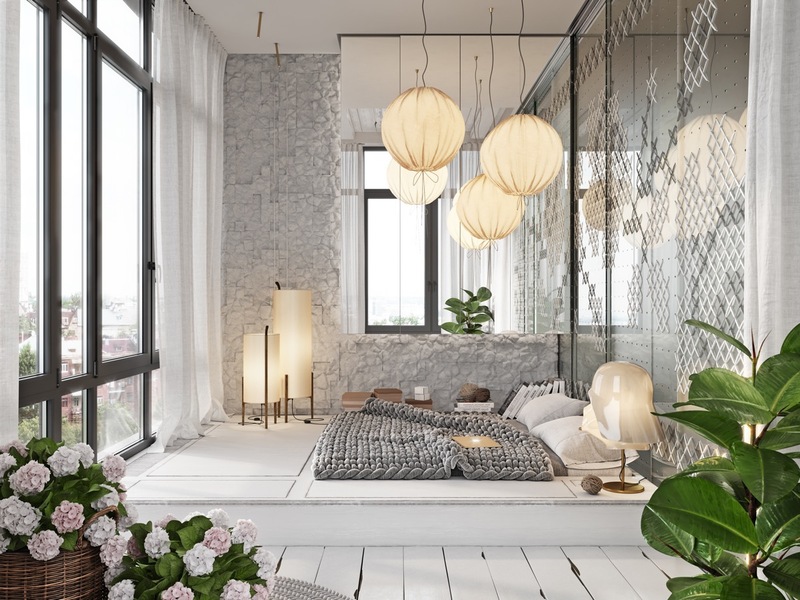 If your room has high ceilings and high windows, consider building a raised platform to put your bed up by the view of the swaying treetops – or overlooking a twinkling city skyline. 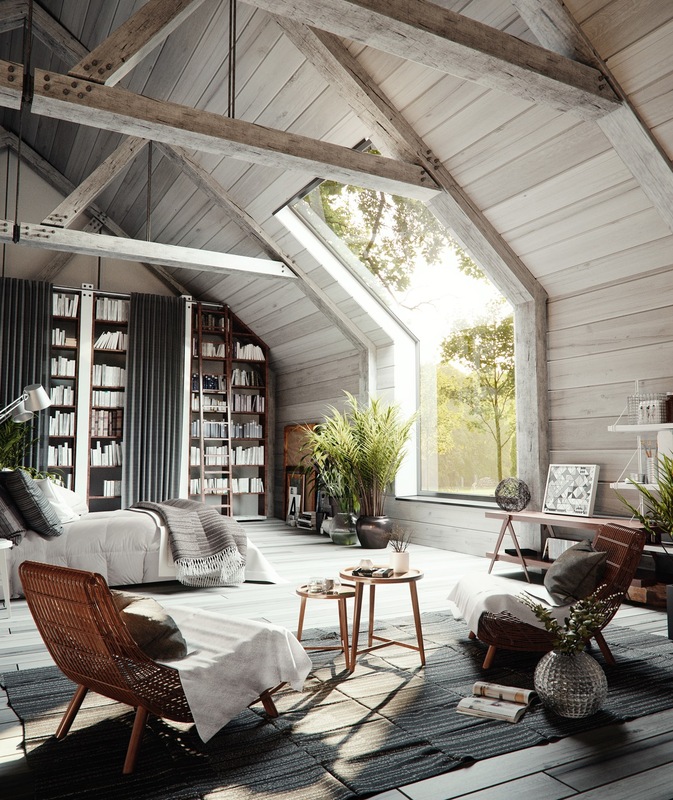 This platform also makes space for a little reading spot to take advantage of the natural light at the windows. Turn up the texture and pile on the layers. 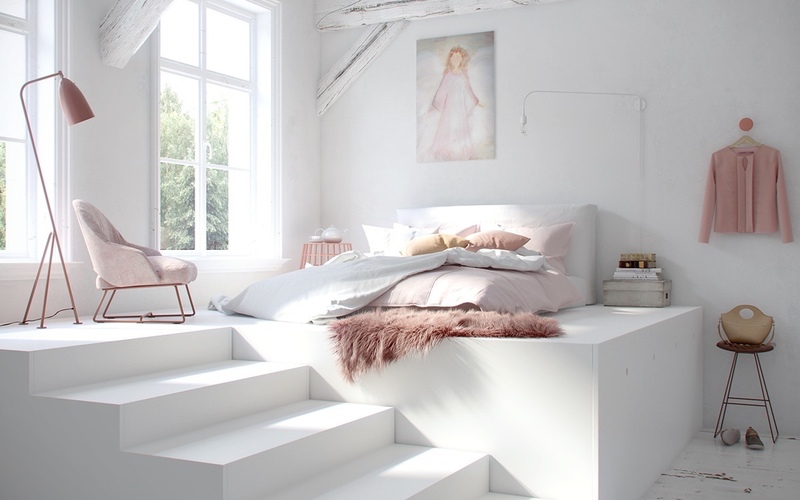 An all white bedroom might not be first choice as a cozy colour scheme, but ‘cozy’ is more of a feeling than a design aesthetic. 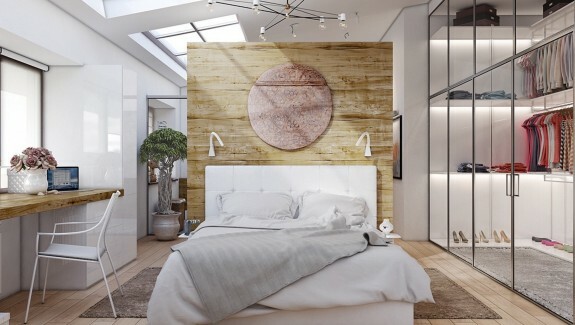 Coziness can be created with use of texture and layering: Deep marshmallowy pillows and woollen throws look even softer when contrasting against this upcycled scaffold plank headboard, rough brickwork wall and heavy metal floor lamps. Add in earth tones. 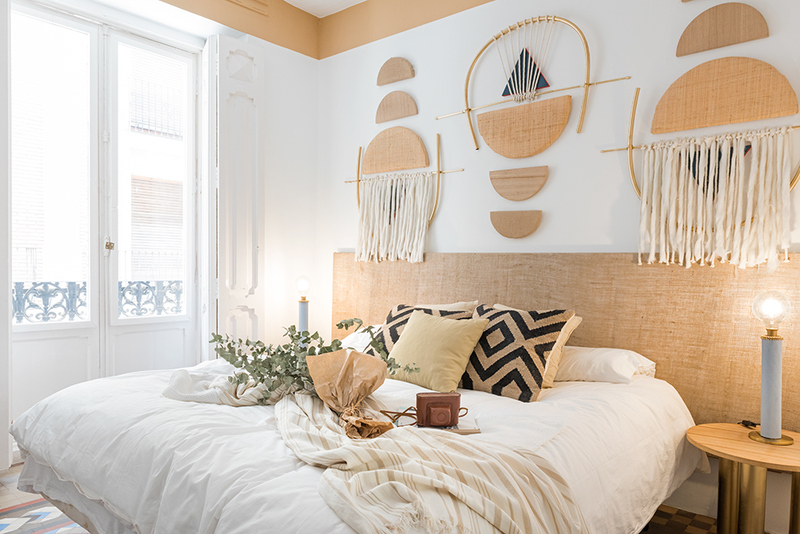 The neutral fabric and wood tone touches inside this nomadic style bedroom create a wonderfully warm and earthy look. 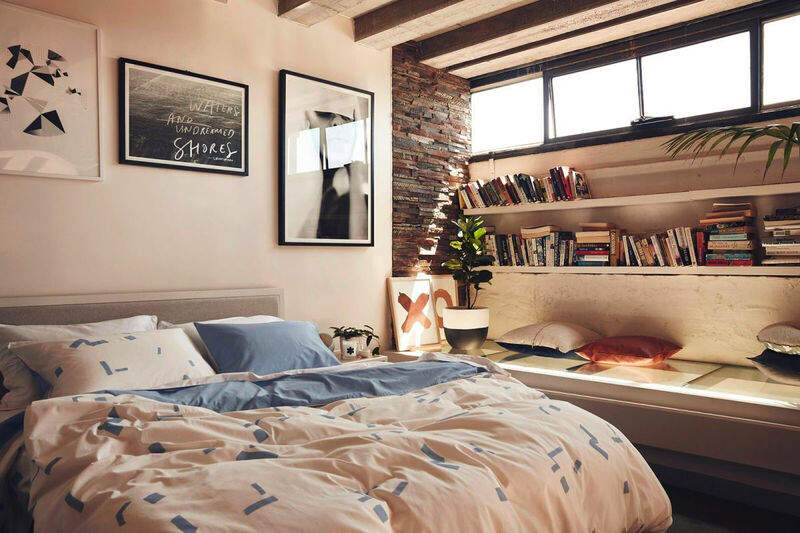 Styling should be casual and unkempt to properly achieve this laid back look – and to make it a place you can flop with a great book and a steaming hot coffee without worrying about ruffling the sheets. Get some roommates. The rejuvenating effects of inviting living indoor plants into a room is like a receiving a big healthy hug. Use softer storage solutions. Matching storage bags have been used as a casual storage solution for extra bed throws, art supplies and magazines too. The lack of hard furniture in this artist’s bedroom makes for a soft and relaxed feel, where you can quickly pull out the paint brushes and a canvas to let creativity take flight. Love your lighting. 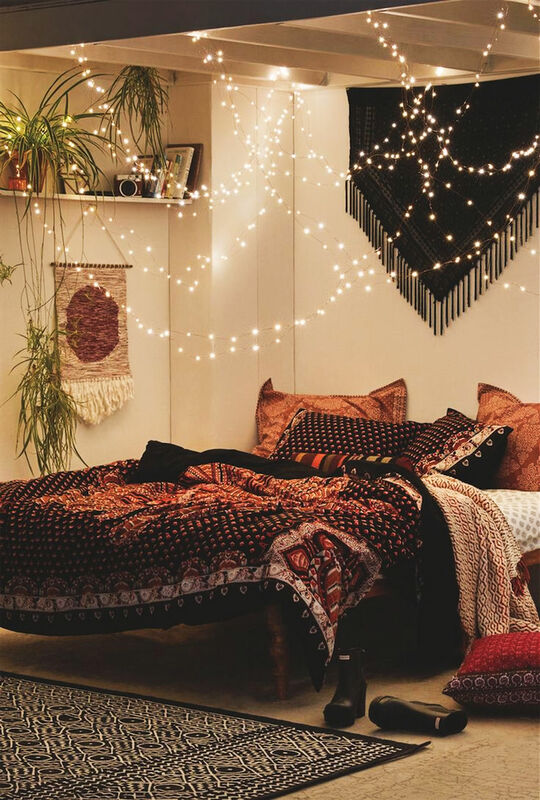 Even the simplest of spaces can be made cozy with the right lights. Try hanging pretty pendant lights or lantern shades in clusters to create a larger feature. Add glowy table lamps and floor lamps, and incorporate reflective surfaces into your decor to double the effect. When creating your lighting layout, think relaxation and romance. Make a feature of cozy nooks and recesses. 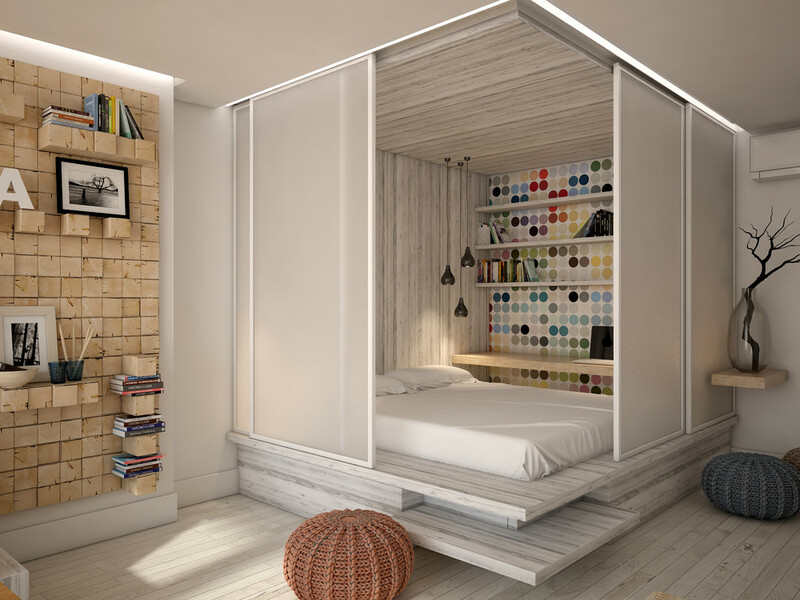 Light up little architectural features like the book nook behind the headboard of this bed. An LED strip makes a glow inside the recess, inviting you to come pick a title from the library. Also note how the bedroom pendant lights have been hung in a cluster on this side of the room to prevent stiff symmetry. 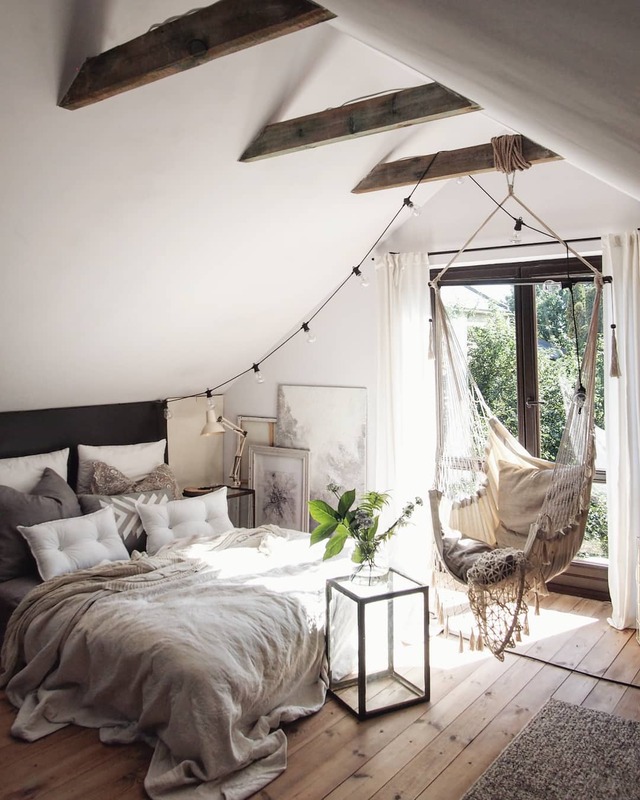 Add a cozy bedroom chair, like this beautiful swing chair by the window where you could while away the hours. A set of globe string lights have also been strung from the wooden rafters for magical effect come nightfall. … or use LED string lights to pack out a high ceiling space with heart warming sparkle all year round. Make more of window dressings. 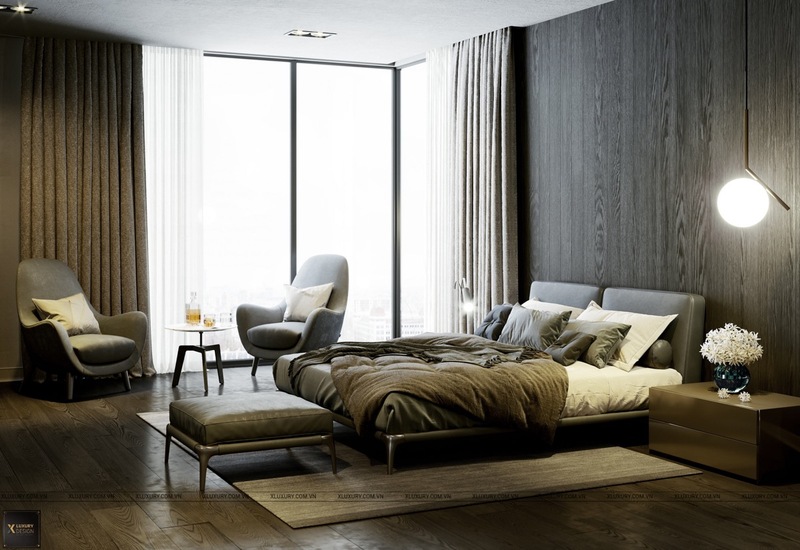 Having a bedroom with a small window doesn’t mean that you can’t live it large with pooled drapes, gathered voiles, or window blinds that go the entire width of your window wall. The expanded window treatment will warm the wall both visually and physically. Then, pull them closed on the world and snuggle up. Hang a pendant light low over the window to create extra interest and reading light – caged pendant lights work great in industrial style setups like this one. Enlarge elegance. 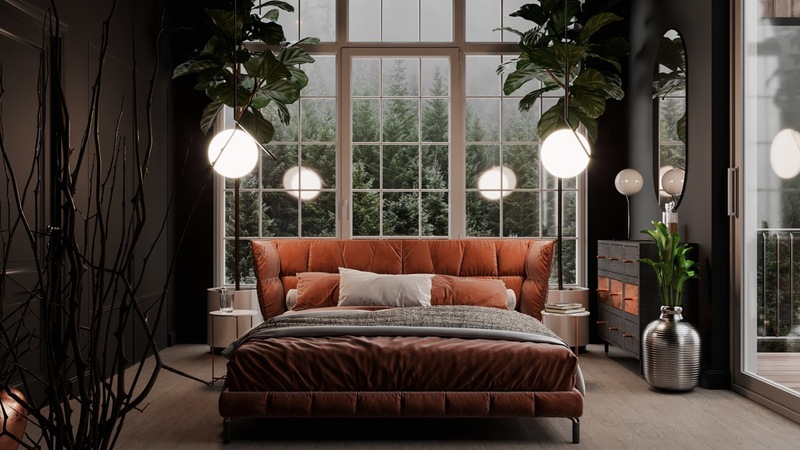 The elegant features in this bedroom have been blown up to unexpected proportion, such as giant decorative tassels on the bed throw that dominate the look, and a wide modern light shade that dangles low over the bedstead. Playing with proportion creates a surreal dream-like effect, so dream away. 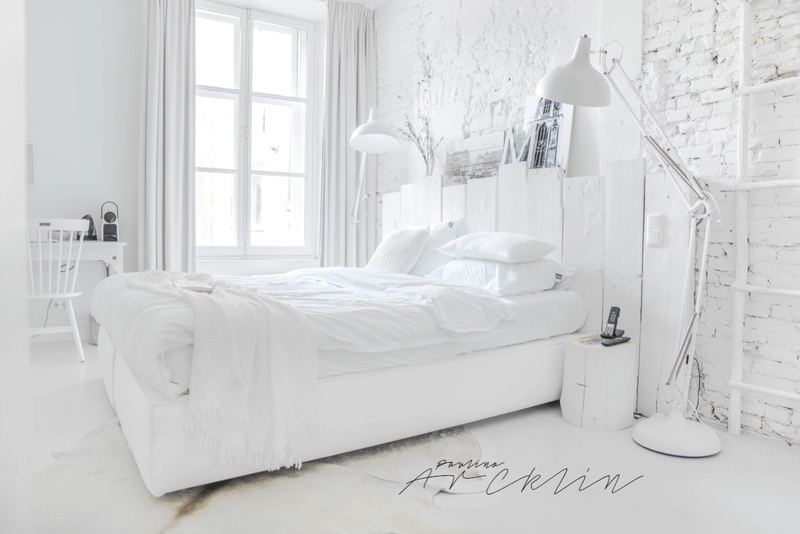 This cozy bohemian bedroom has just one wall of pattern in pure white surroundings, leaving space to breath, meditate, relax. Craft a cozy cabin bedroom. 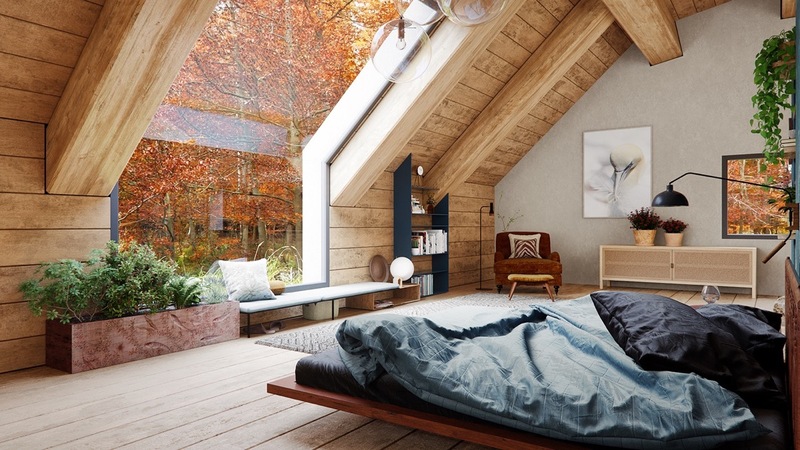 If ‘cozy’ to you means a smaller space, then why not craft yourself a room within a room, like this wood clad cabin style bedroom? Let the rain hammer on the rooftop while you bed down for the winter. Sleep under the stars. Living in an open plan studio can present challenges in creating a segregated sleep space, but not in this home. 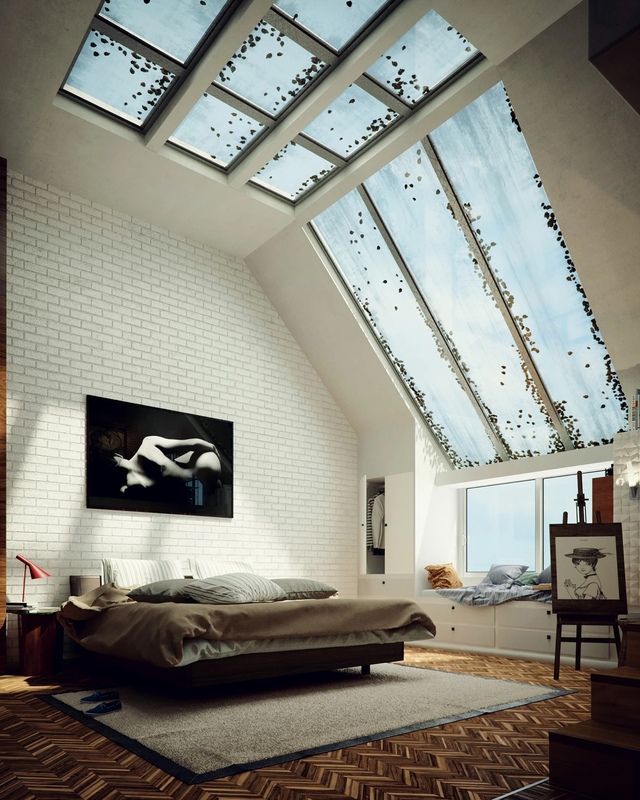 Framework floats the bed directly under a skylight, as if drifting up to the Milky Way. 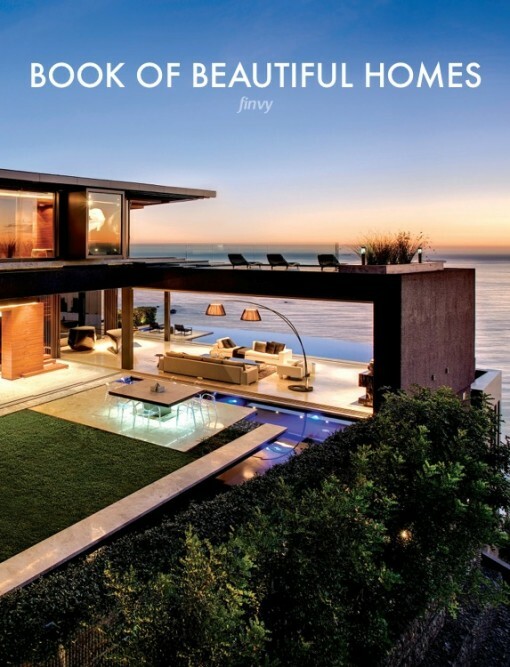 You can see more images of this gorgeous home here. Line the walls with storage. This attic is cocooned in closets beneath the rafters. 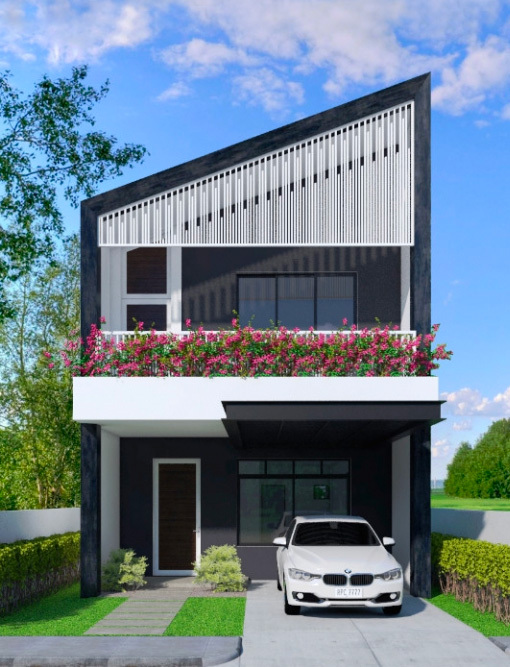 Bask in the sunlight of roofline feature windows. 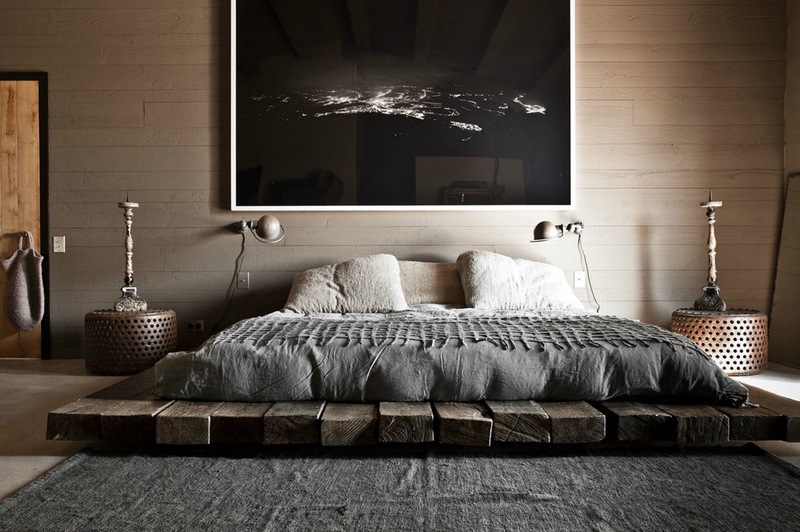 Create a cozy rustic bedroom with wide wood cladding, raw stone walls and decor inspired by nature. Then kick off your slippers and warm your toes by a roaring wood burning stove. 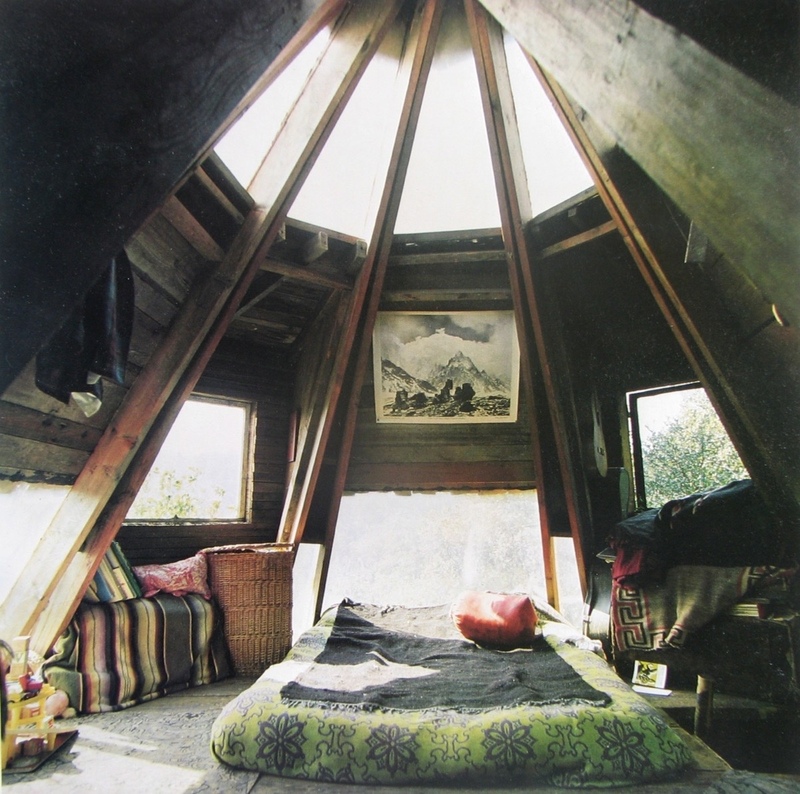 This treetop bedroom has an encircling teepee effect. 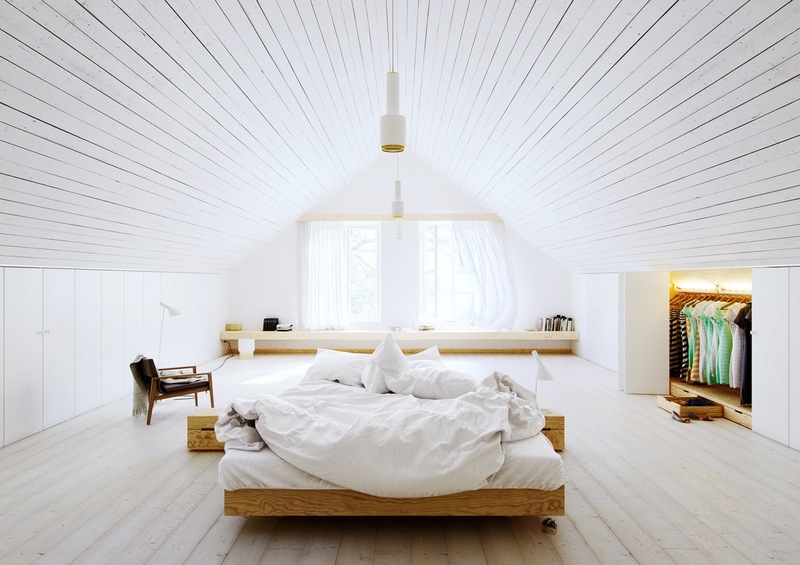 You can find more inspiration for attic bedrooms here. 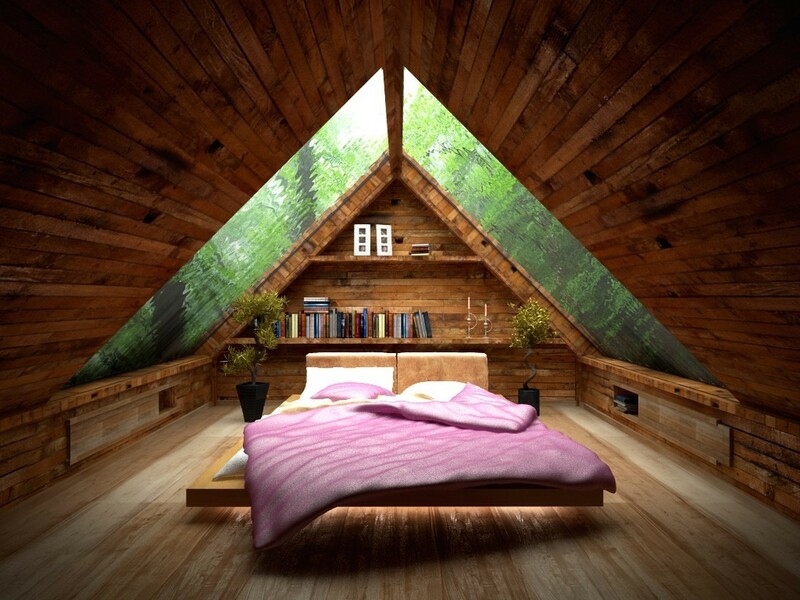 Line ceilings with wood to craft a boat-like cabin where you can sail off to sleep. Let your dream destination inspire your dream space – like this Paris lover’s scheme where a floor bed design camps out under the Eiffel tower. Let the window view inspire the colour palette of your room, especially when the hues are as warming as this autumnal scene. More pictures of this gem of a home here. Allow your home library to decorate your space with the help of some bespoke bedroom bookshelves. 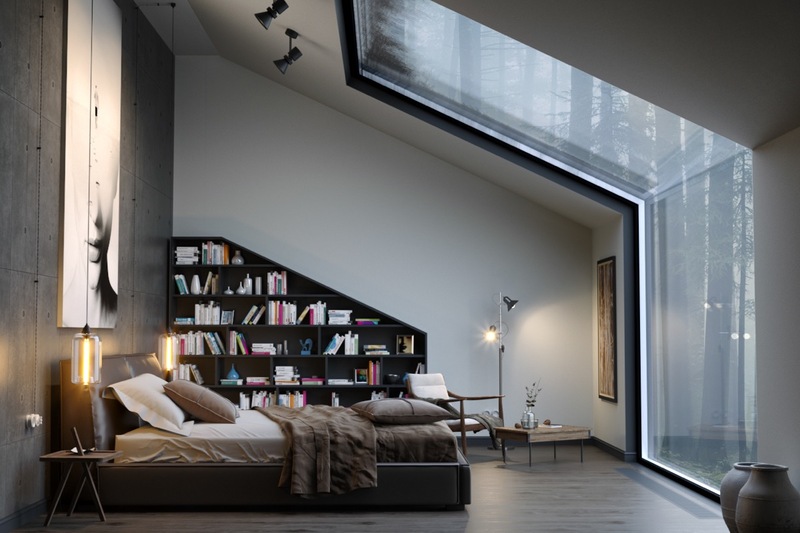 Imagine being lost amongst the pages in this amazing glass wall bedroom, as the seasons change beyond the glass. 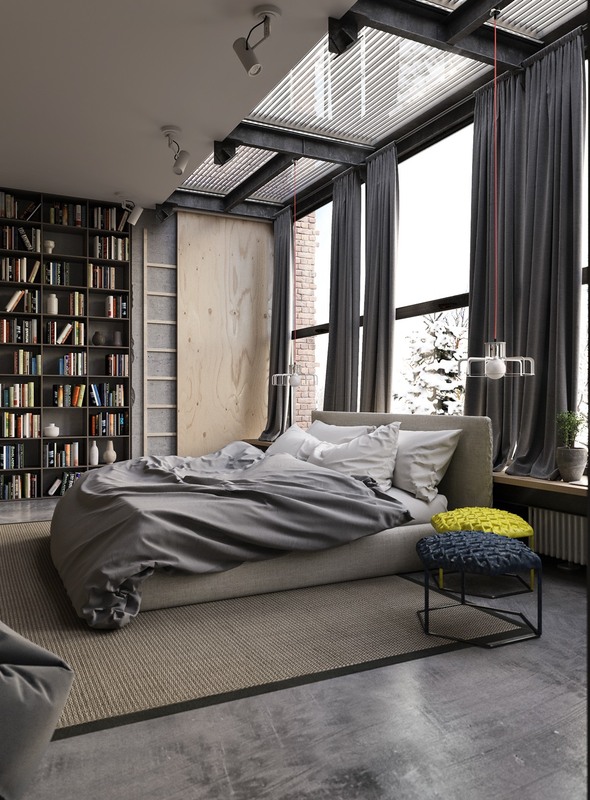 Invest in librarian ladders and stack the bookshelves even higher. Be a cozy camper under a glass pitched roof, and melt your marshmallows in a cup of hot cocoa instead of on the campfire. 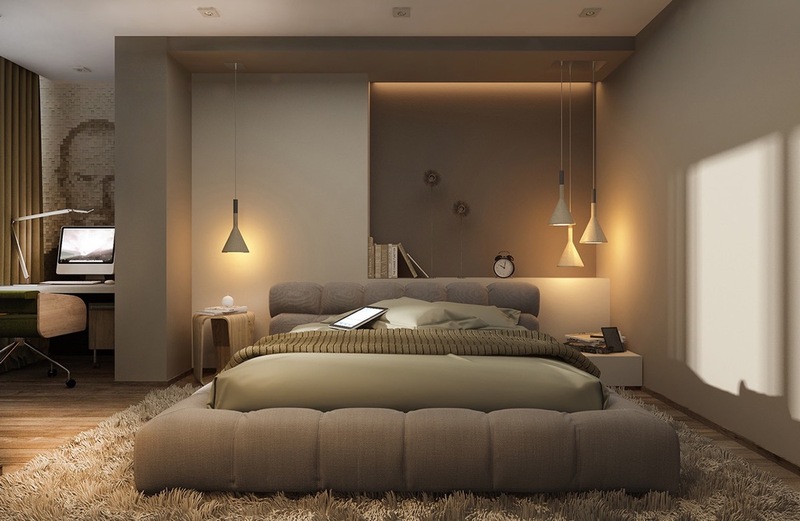 Choose an upholstered bed for the warmth and tactile factor. This winged bed has cushiony sides that make it look super snug. Two globe pendant lights float like full moons above. 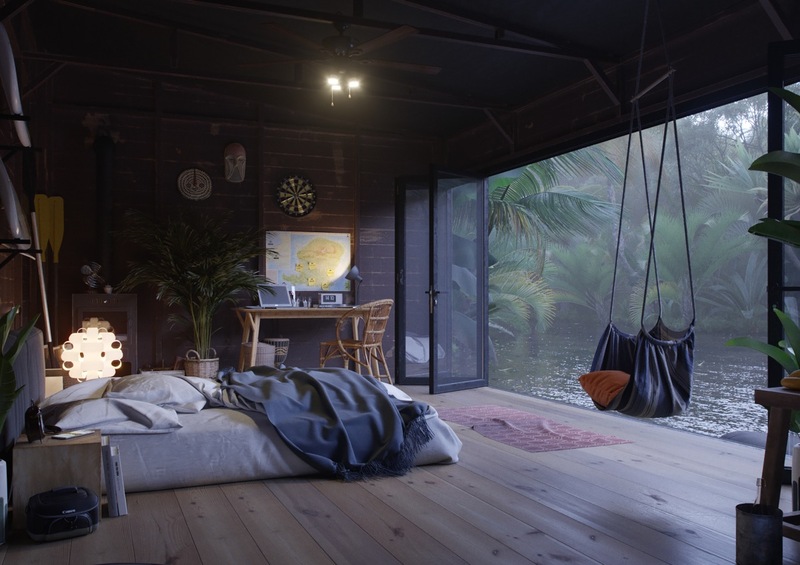 Let the storm wash over whilst you cuddle up in a dark cozy cave. 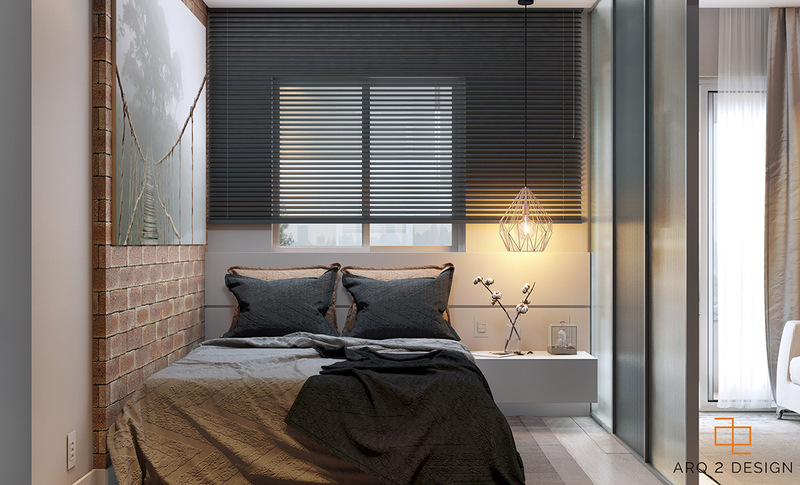 Dark decor makes even a large, glass wall bedroom into a restful hideaway. Now this really is the stuff that dreams are made of! Recreate a luxury hotel look with crisp white bed clothes, layered pillows and bolsters that make you want to run and jump in! 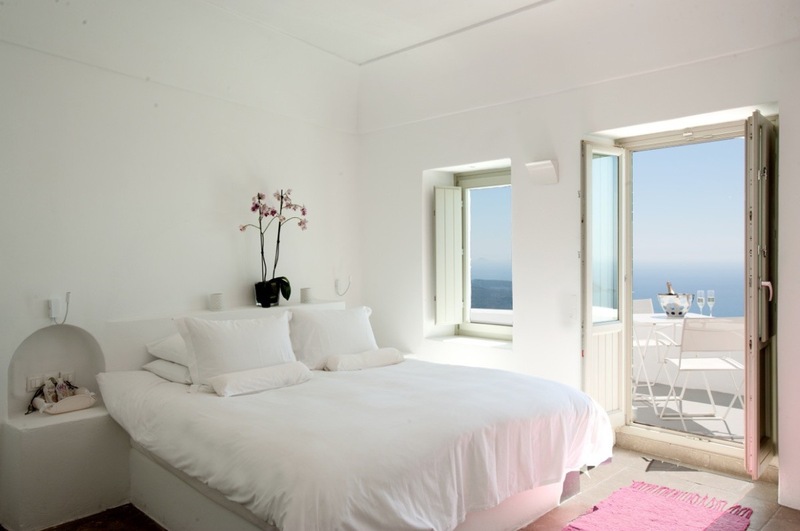 This pure white bedroom scheme is sweetened with a pink accent rug and orchids. Fill the room with floor furniture. 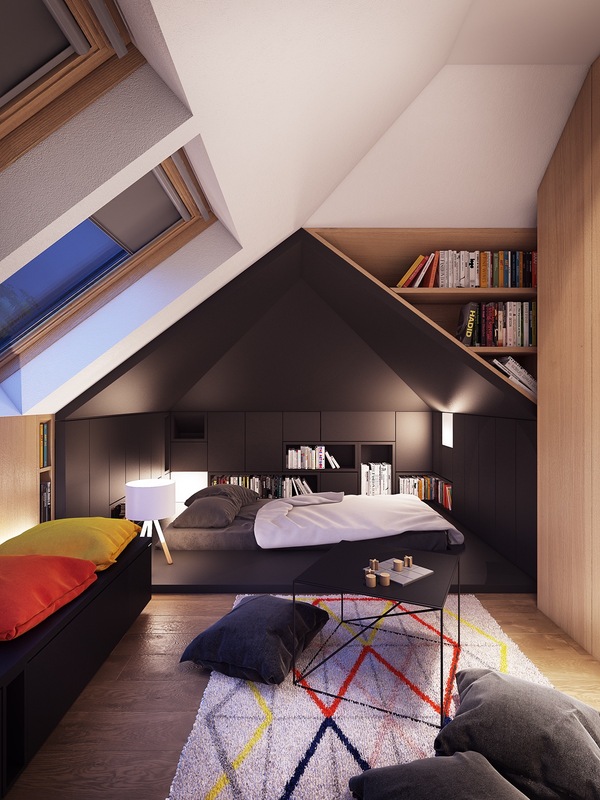 Floor hugging beds, low storage cubbies and floor pillows create restful vibes. Stretch out on an area rug in a pool of sunlight and cushions – like a spoiled cozy cat! Chase away the chill with a bedside rug. Wooden floors and laminates are easy for cleaning and beautiful to the eye, but if you don’t have underfloor heating those boards can feel a little chilly underfoot in the small hours of the morning. Sink your toes into something softer. Build a den. A large room can be a daunting place to sleep for a small child, but children adore little dens. If you can make your kid’s bed feel like a cozy den then there should be no problem getting them tucked up at night. 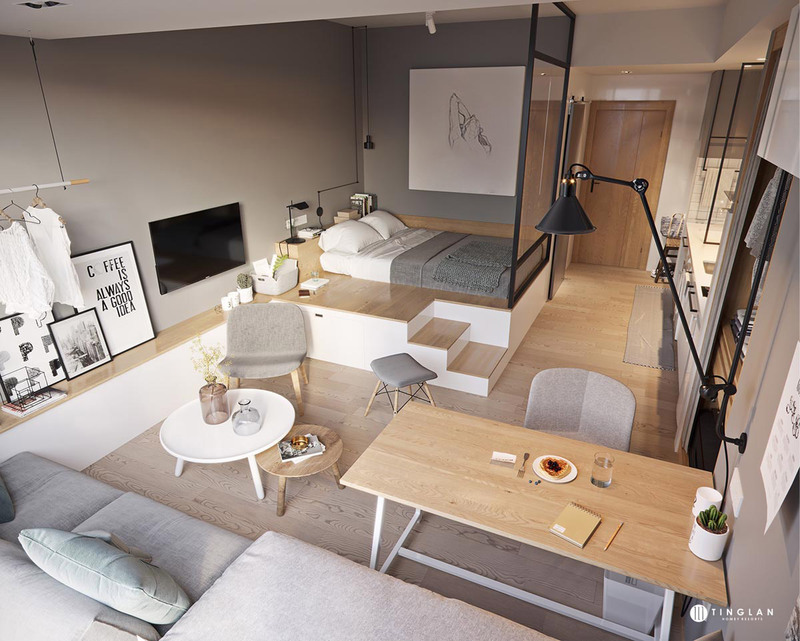 The bed in this studio apartment is raised on a bespoke platform to create storage space underneath, but it also helps separate it from the rest of the living space. 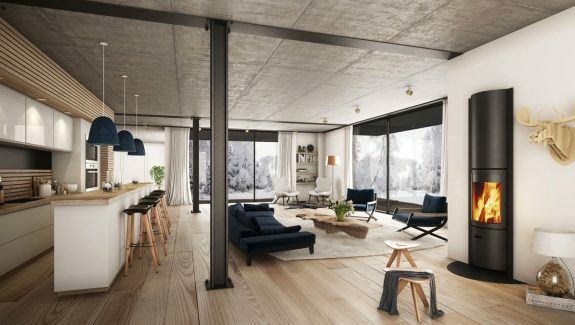 More images of this cozy little apartment here. A sleep box is another cozy way to section up a studio. 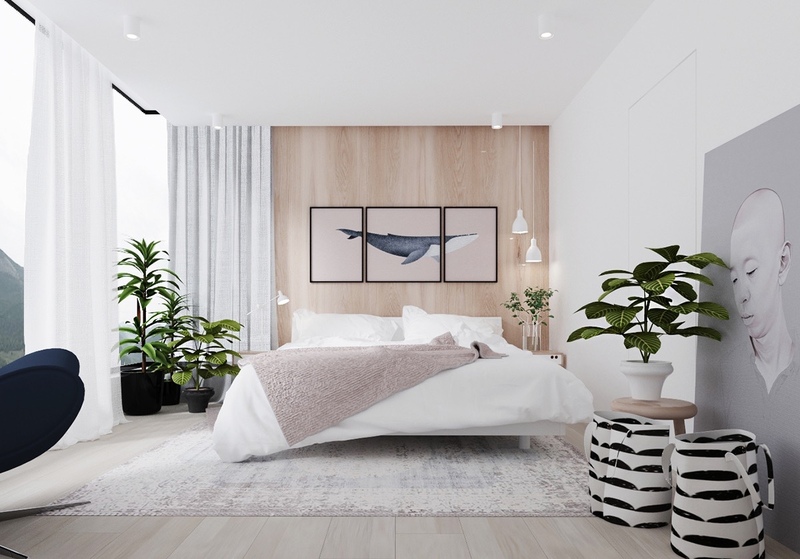 Even a minimalist bedroom can gain cozy points with the help of a colourful throw and wall art. … This wooden version offers storage cabinets all the way around. A tiny studio space can feel cramped rather than cozy, but a calming colour scheme and subtle room dividers can make all the difference. 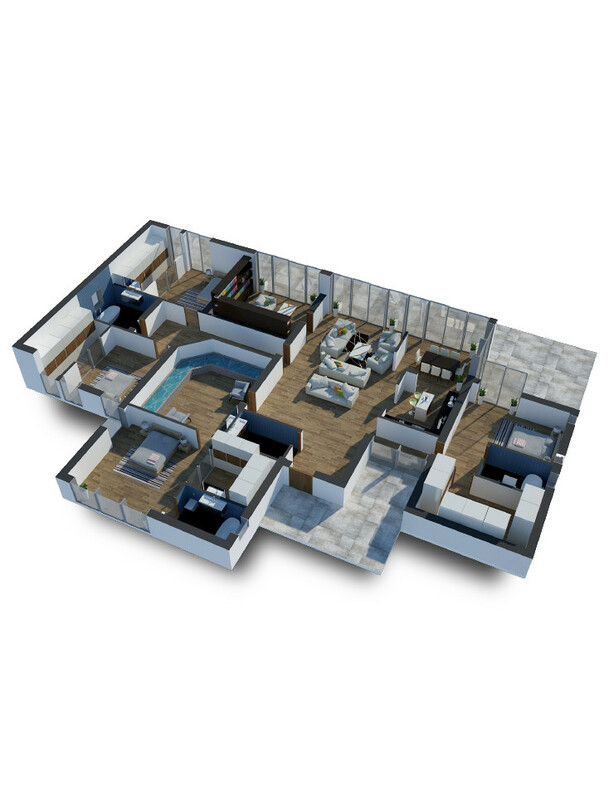 Finish off a cozy guest room design with tea and coffee making facilities to give house guests a warm welcome. This should be under reading nook but we just had to include this here anyway! 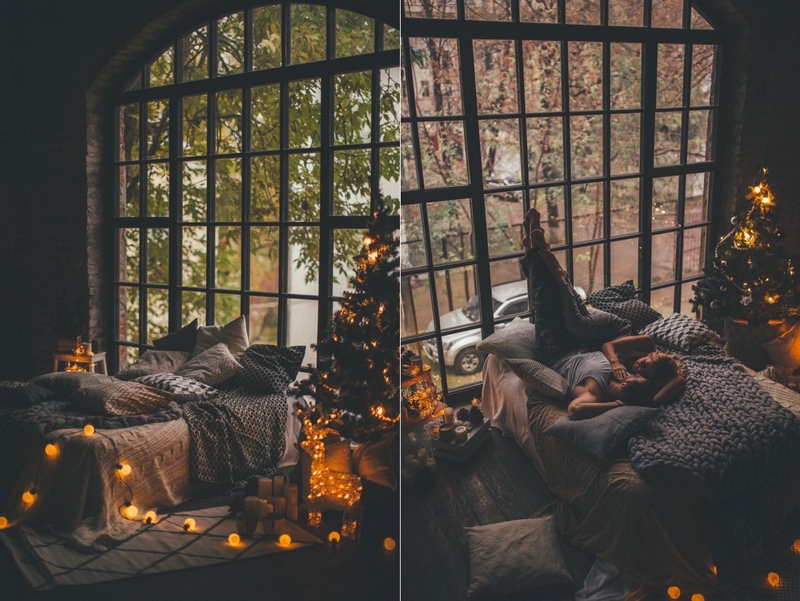 What could possibly be a cozier bedroom window than this? 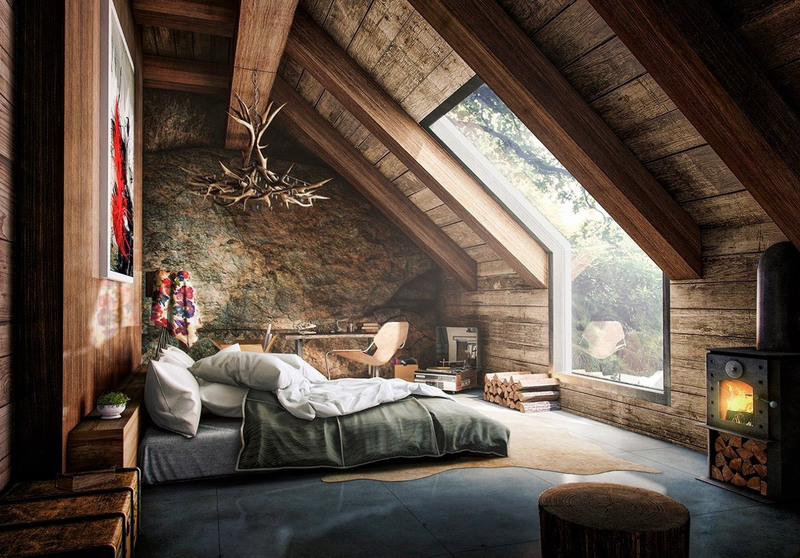 Hide away in a lofted bed. 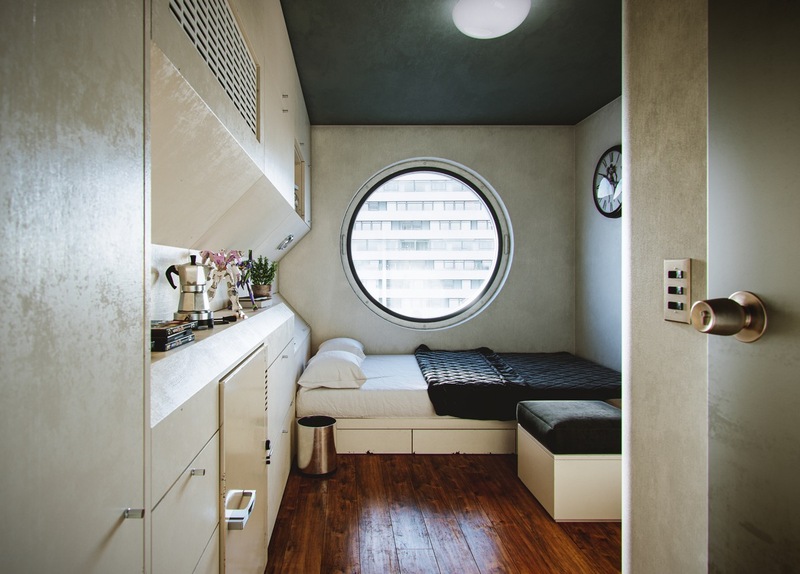 More pictures of this tiny apartment here. Dark wood tone adds a comforting richness to a cold colour scheme, like mixing hot chocolate into milk. 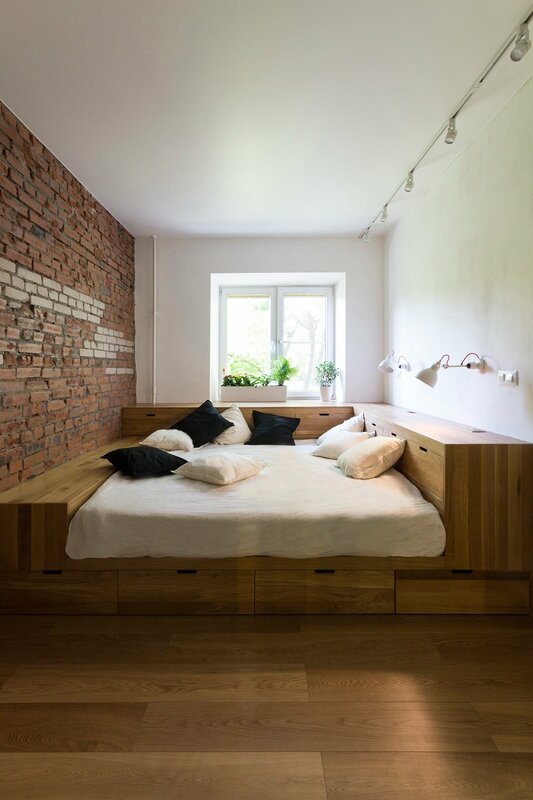 Raw red brickwork visually heats an industrial style room. 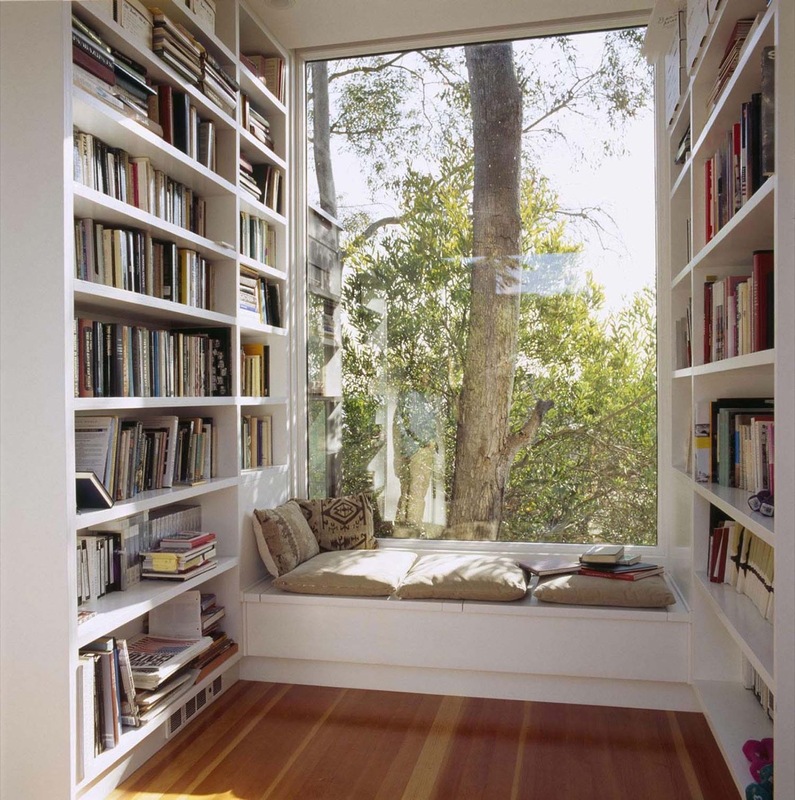 Bookshelves that frame windows not only take advantage of unused space, but warm up the look of a window wall. Imagine snow falling softly through the stacks as you peruse your library this winter. Add hot pops of colour to an established scheme. Add in a cheerful stool, or switch out boring pendant light cords for something brighter. 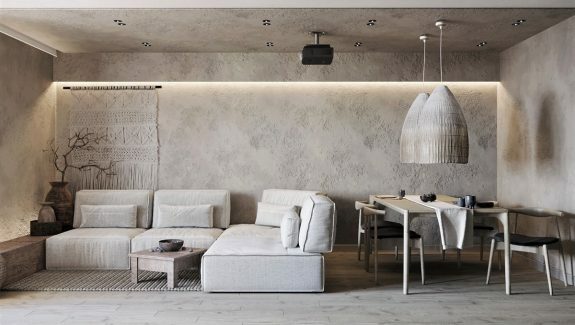 A bedroom lounge area pushes up the comfy factor. Pick out a couple of cozy bedroom chairs and a small side table to hold drinks and current favourite books. 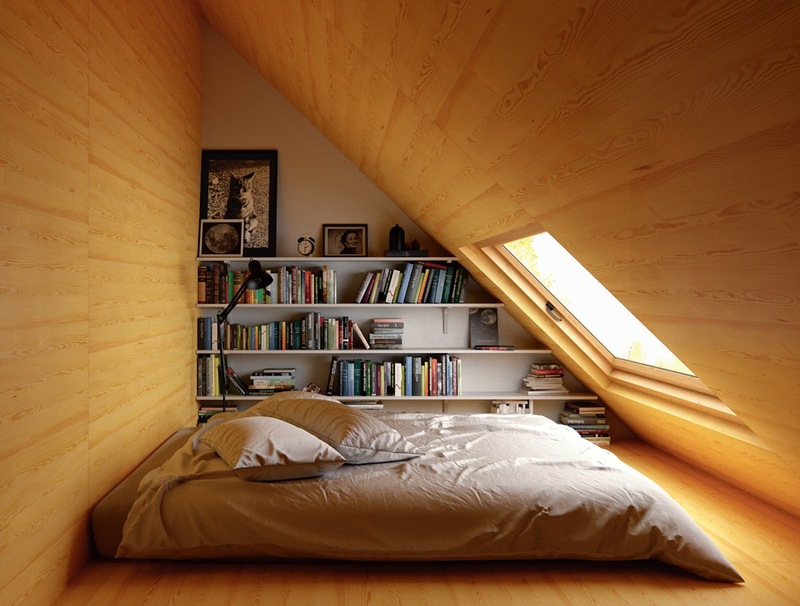 … Or sleep inside a reading nook. A bit of romance will warm the cockles of anyone’s heart. Combine strong accents with soft elements. 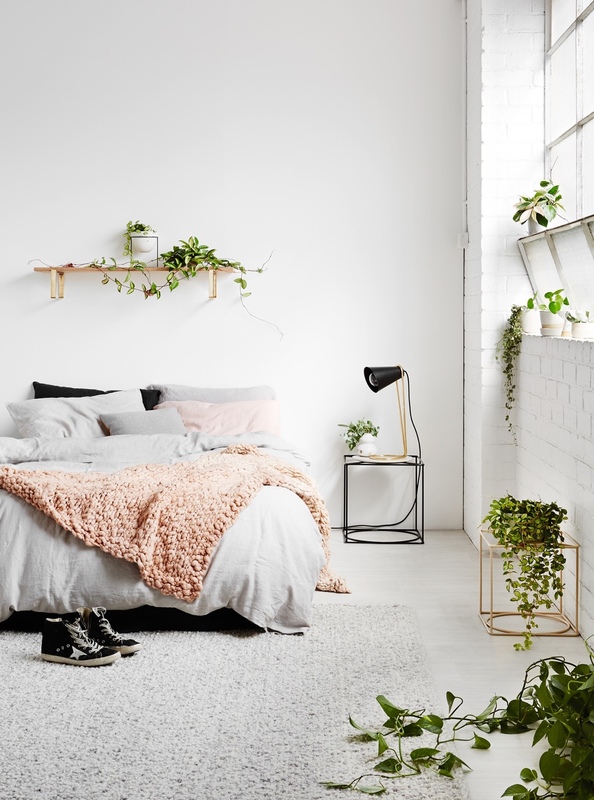 This decor has densely patterned monochrome wallpaper and a solid grey wall, lifted by feathery light pendant lights and pastel pink bedclothes.